On the heels of Dior spokesmodel Natalie Portman's formal condemnation of designer John Galliano over his alleged anti-Semitic remarks, iconic fashion brand Christian Dior has announced it plans to dismiss John Galliano, its chief designer. In a statement reported by The Wall Street Journal, Dior announced that it was entering into the process of firing Galliano specifically because of his behavior in a cell phone video that went viral on the Web yesterday displaying the designer issuing a number of offensive statements (including "I love Hitler"). I condemn with the greatest firmness the comments made by John Galliano, in total contradiction with the essential values which have always been defended by Christian Dior. 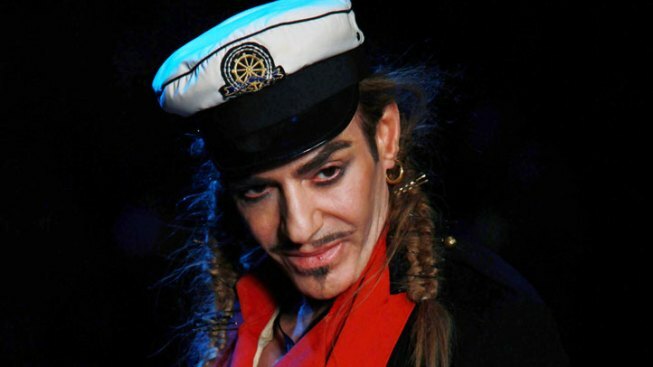 Galliano's fall from grace has been swift and merciless over the past four days, where the designer has gone from being an incredibly talented wild child of a Paris talent to a shunned and much-condemned outsider. Plus, under French law, racist remarks can carry a penalty of up to six months in prison, so Galliano could even face jail time if formally accused and convicted. Amid all the drama, the Dior show is still scheduled to take place in Paris on Friday, though one can only guess how the fashion house is planning to fete the occasion, if at all.